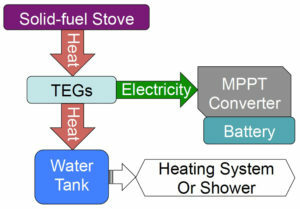 Stoves are used in developing countries, remote locations, and for low-cost space heating. 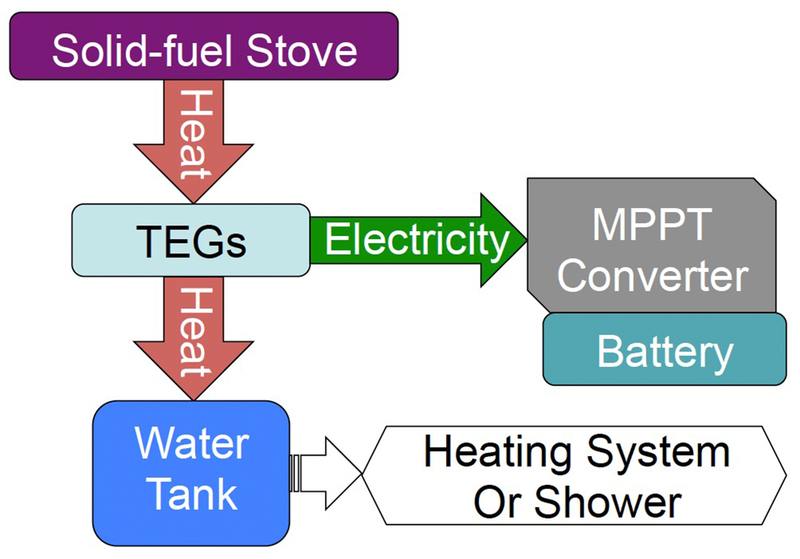 The possibility of also using the stove heat to heat water and produce electricity represents an added beneﬁt thus effectively creating a combined heat and power (CHP) system. We have modified a solid-fuel stove to concurrently charge a lead-acid battery with an average of 27 W and transfer heat to water for heating or household use. 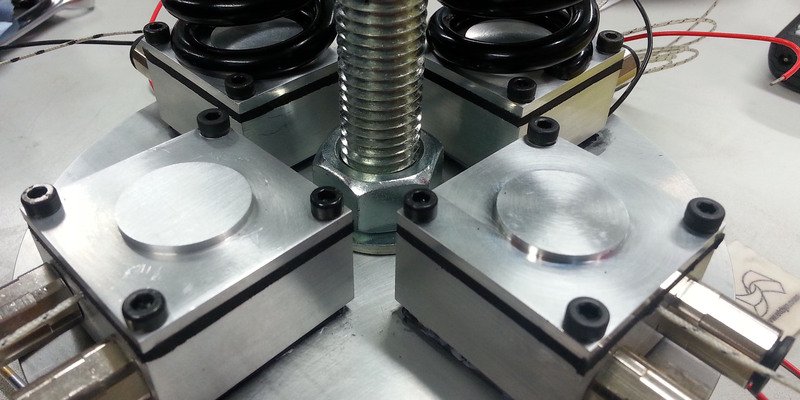 We used the KM2 MPPT converters to drive the TEGs efﬁciently.